Now you can see the view name in the description area. 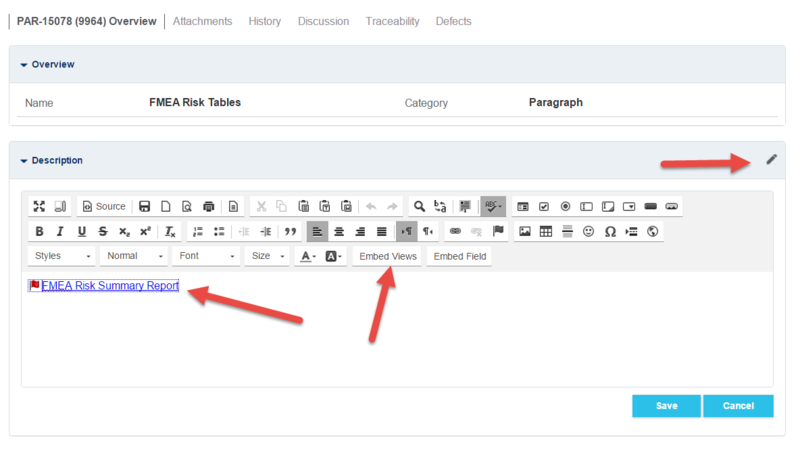 Note: this filter contains the attributes that you ssh to include in the FMEA table to be generated on your risk management file. Select the document you want to generate, using the “Source”.